Thursday 18 August 2011 The Quest Begins Anew! 390-054 sitting at Euston station shortly before heading off to Manchester. One pendolino does look very much like another, I'll grant you, but you can't ignore that branding. 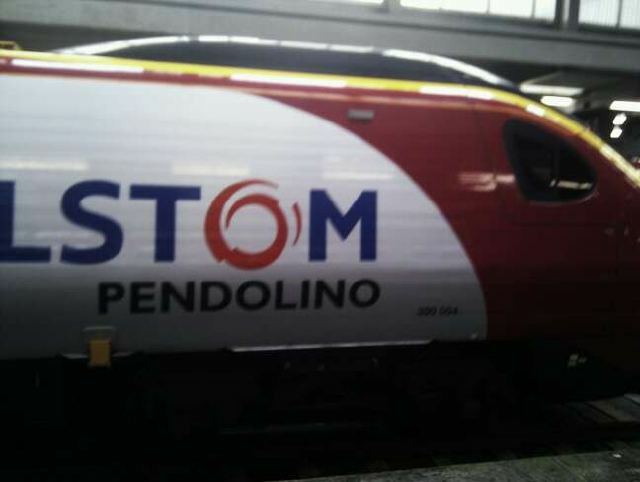 Didn't see the nameplate, but 390-004 was recently renamed Alstom Pendolino, so it can't be that. Perhaps it doesn't have a name?